There have been an amazing number of schools and colleges in Milton parish area over the years. In the 1820’s and 1830’s there were five day schools operating out of cottages near to the church. 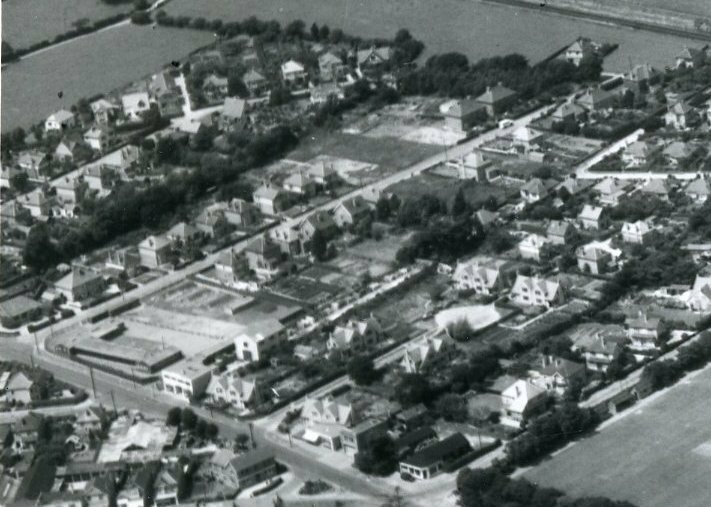 The first purpose built school in our town was the National School for infants and juniors seen here in the centre of this image. It was built in 1835 by the Church of England. The land was donated by a kind benefactor, Mr J. Bursey. It cost £174 to build. This was paid for by two members of the local gentry, Sir G. Topp and Sir G. Rose. 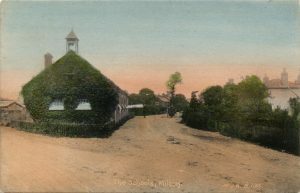 It was located to the east of the George Public House in Old Milton. The road around it was the playground for the children. The school moved soon after World War One to a hutted complex on Gore Road at the junction with Vincent Road. The buildings were then used until 1931 by the council until it was demolished. The hutted school in Gore Road utilised ex WW1 military buildings which were surplus to requirements. They had been purchased at auction and were relocated to the site. The land belonged to Winchester College. 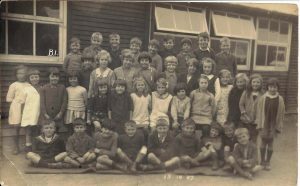 This image shows some of the school children in the 1920’s. In the background you can see the type of wooden building used. The head master in this photograph is Mr Barker. This school was finally demolished in 1983 and was replaced with housing. This aerial image from the 1940s shows the extent of the school. 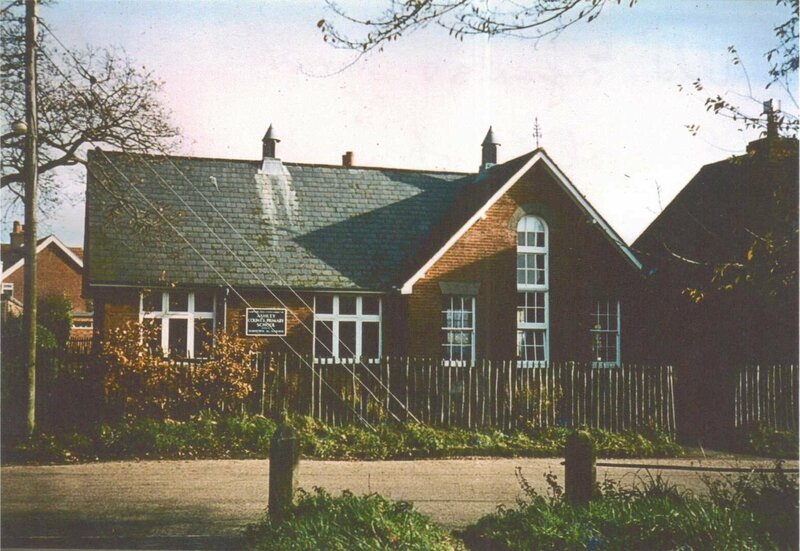 In Ashley there was a non denominational school built on the corner of Lower Ashley Road and Hare Lane. It became the Ashley County Primary School. It was built in 1879. 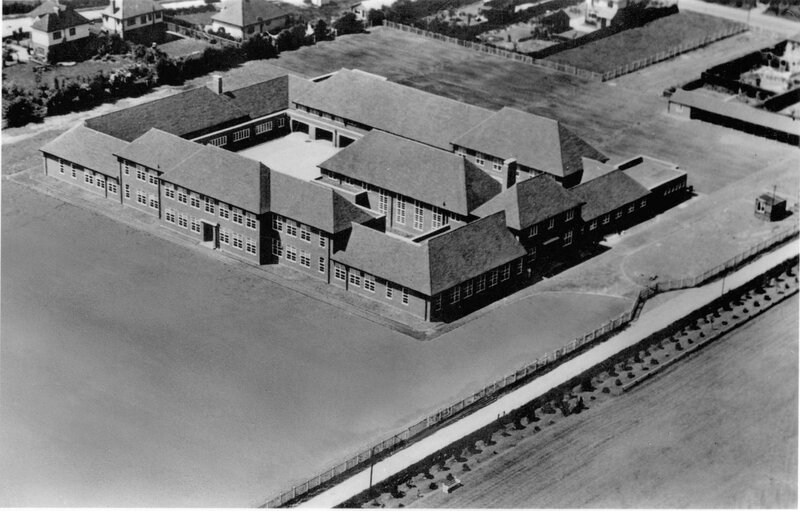 When the new junior school was built in 1951 near the top end of Lower Ashley Road the pupils moved to that site. The old school building remained in use as a special school until it was demolished in 1985. A pupil from this school who was famous in his time was William Retford, the renowned violin bow maker. Ashley Secondary School was built in 1939 on Ashley Road, and is still in use. Almost as soon as it opened it had to cope with an influx of evacuee children from Southampton. These children were moved here to avoid the anticipated Blitz on Southampton. 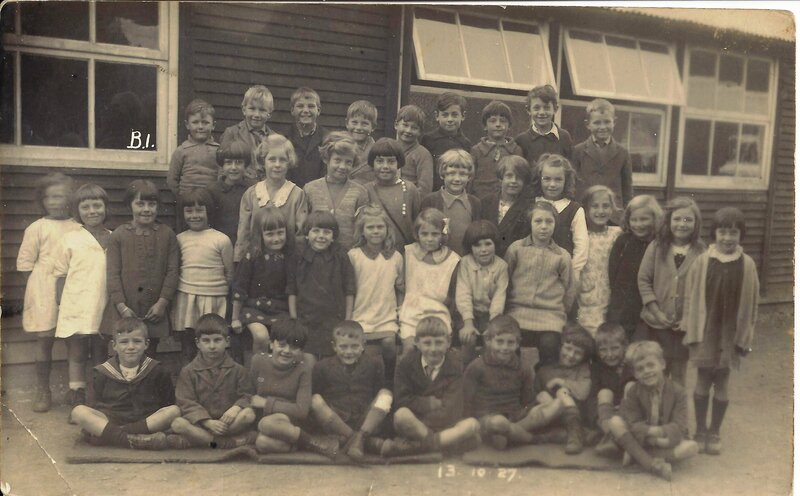 One of the school masters who came from Southampton with the children was a Mr Eric Wyeth Gadd, who wrote a book on his experiences of living in war time New Milton. Another well know master from this school was Arthur Lloyd. He was highly regarded for his local history knowledge and the many publications he wrote on a wide range of historical subjects. In 1960 a further secondary school was opened in Gore Road. Initially called the New Milton (Gore) Secondary School, after amalgamation with Ashley Secondary in 1970 it was renamed the Arnewood School. The history of this school is worthy of an article in its own right, however, in brief, The Arnewood School became a Comprehensive in 1992, and later a grant maintained school. It obtained sixth form status in 1995 and in 2002 became a Technology College. It continues to go from strength to strength. Near to Fernhill was another private school utilising a large family house. 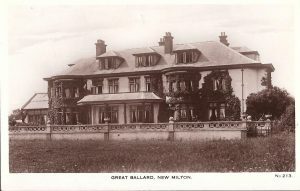 Great Ballard Preparatory School came into being after the First World War. The house had formerly been the home of the Ubsdell family. The school remained there until 1940 when the army commandeered the house and grounds. In 1946 Edinburgh House Preparatory School took up residence there. 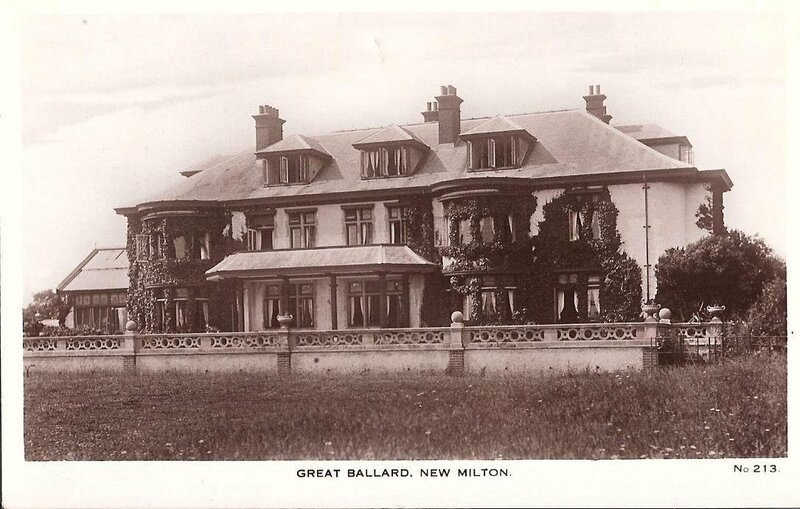 In 1995 the school merged with Fernhill Manor to form the Ballard College. In Barton on Sea, Furze Close Preparatory School was founded in 1909 in a large house off Becton Lane. The first headmaster was a Mr Stubbs. The school moved out following a fire before the Second World War. 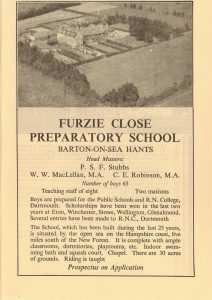 In 1945 Durlston Court School moved there from Dorset. Sadly in 1947 another fire devastated the school buildings and killed Miss Josephine Wood, a maid, who was trapped in the building. The school as rebuilt by HH Drew builders of New Milton. Although much of the school grounds have now been sold off for housing development the school is thriving and is currently rated the 46th best preparatory school in the UK. In addition there have been other schools in Milton which are no longer with us, such as Speedwell Preparatory School in Manor Road, Homefield Preparatory School for boys in Barton Court Road, and Hengistbury School on the sea front at Barton on Sea. This building went through many uses as a variety of different educational establishments before ending up as a home for displaced Eastern European refugees from 1954 until its demolition in the 1990’s. Schooling and education, both state and private, has been a very strong influence in Milton Parish. Our local schools continue to do a superb job of educating and moulding our young people to be the citizens of tomorrow.